Shown here are some 12' fabricated steps headed to Maine. 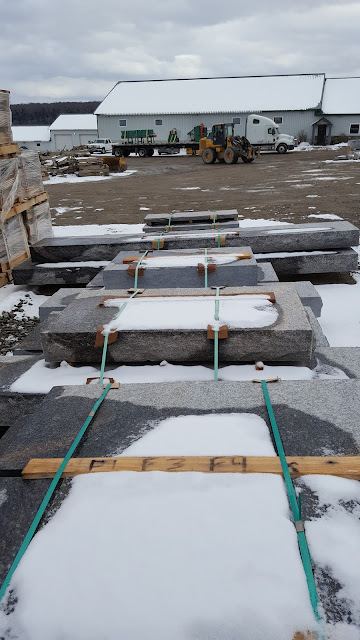 In the background you see a STEINEX stone splitter headed to North Carolina. See- we still get things done when the boss is away.